This is the Passion 5 model and it belongs in the Series III of these instruments. For may players this is the absolutely best era as Series III took advantage from Series I and Series II developments and refinements while still using some proprietary parts such as Benedetti pickups, Kahler bridges, etc., which were lost later on. Today's Viger basses are still great but some players feel they've lost a lot of what made them unique. 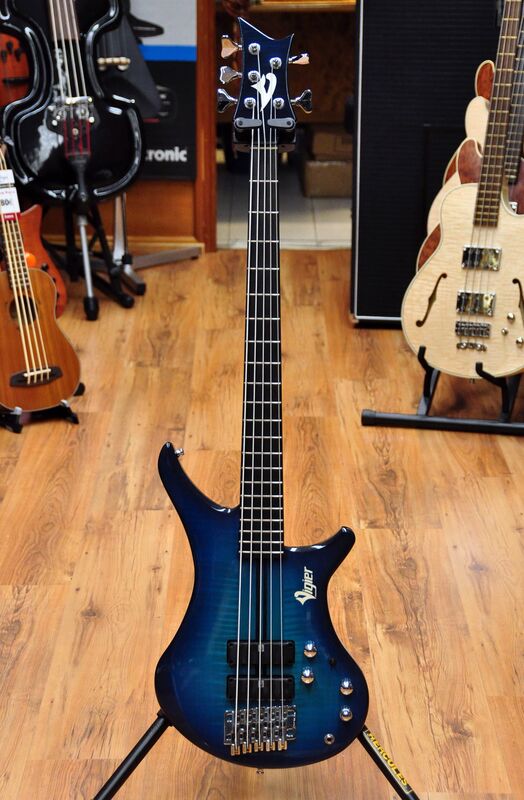 This bass in particular sports a US made Bartolini preamp with controls for Volume, Balance, Bass, Treble and Midrange (with 3 selectable frequencies). The amount of quality sounds here is just amazing. 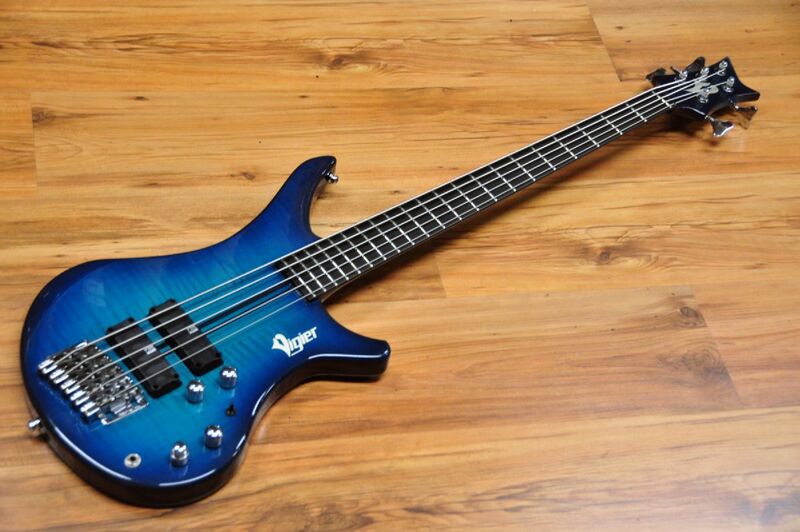 The narrow nut (just 42mm wide) and slightly short scale (33.8") make this one of the easiest 5 string basses to play. And the Low B is just perfect in terms of volume and definition. 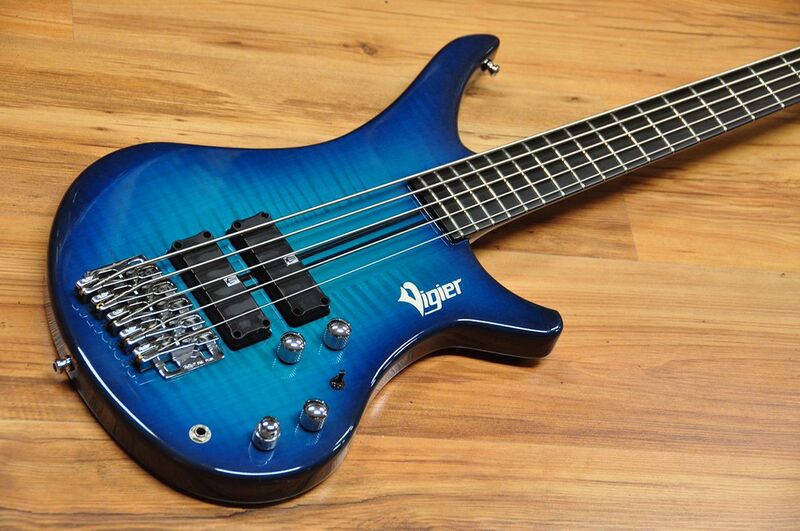 All Vigier basses have very comfortable necks and this is no exception. a 43mm wide nut is used and we just love that. It is almost like holding a 4 string but with 5 string. You may think this could produce a somewhat crumped feeling but that's not the case at all. It simply feels amazingly comfortable.